Harley Davidson Street 750 price in Chennai starts from Rs. 5.31 lakh (Ex-showroom). Street 750 is available in only 1 variant. 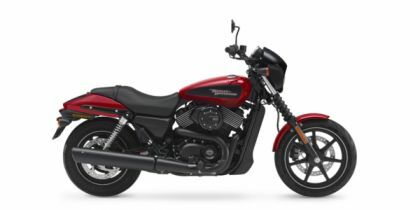 Harley Davidson Street 750's top competitors are Harley Davidson Street Rod (price starting at Rs. 6.51 lakh in Chennai) and Harley Davidson Iron 883 (price starting at Rs. 9.23 lakh in Chennai). Q. How many services in a year? and how much spending per service? Q. Can we put dual exhaust in Harley Davidson street 750?